Based in Red Bank, NJ, Jason's Dreams for Kids, Inc. is an organization founded in memory of Jason Douglas Creager, who passed away on January 18, 1992 after losing his battle with cancer. The charity is devoted to granting wishes to children diagnosed with life-threatening illnesses. Bringing a little happiness and putting a few smiles on these children's faces, and hopefully their parents’ faces, is their goal. 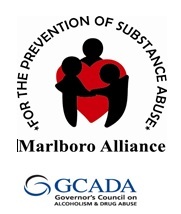 The Marlboro Township Alliance for the Prevention of Substance Abuse is part of a statewide program of municipal alliances that are aimed at the prevention of alcoholism and drug abuse. Alliance funding is primarily provided by the Governor's Council on Alcoholism and Drug Abuse (D.E.D.R. Funds, Drug Enforcement and Demand Reduction Funds). Additional funding is provided by Marlboro Township, donations and fund raisers.